Jason was great! He listened to what I was asking for. He ended up suggesting a 2019 Toyota Corolla Hatchback SE which was better for me than what I was originally looking for. I highly recommend asking for Jason to be your sales person. I received excellent service and would highly recommend working with Ashleigh. She was knowledgeable and patient, and helped me get my Camry XSE for a good price! I will definitely be back. 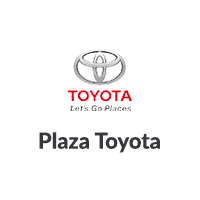 Plaza Toyota has been a wonderful experience for my family and I. Especially the sales consultant Christenson who went above and beyond in helping us get the best and most affordable deal despite being a new driver. Highly recommended for anyone looking to buy or lease. Great team, they get it done.